Sony is preparing a possible PlayStation 4 unveiling in a few weeks, and rumors indicate that a new controller will be a big part of that announcement. Sources familiar with Sony's new hardware told Edge that the PlayStation 4's controller will prominently feature a touch trackpad at its center replacing the Start, Select, and Home buttons. The trackpad is allegedly based on the same technology as the PlayStation Vita's rear touch panel, which would indicate that it also supports multi-touch input. 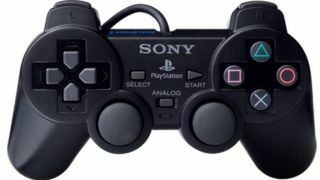 The controller is otherwise said to be similar in size and shape to the PlayStation 3's current Dualshock controller. This leaves a space of approximately an inch and a half for the trackpad on the front of the controller, or a potentially larger space if the trackpad is on the controller's rear as it is on the Vita. Also rumored for the new controller is a new Share button. The Share button is said to be used for players to share screenshots and gameplay videos with other users online. To facilitate the new feature, the console is rumored to keep a constant recording of the last fifteen minutes of gameplay in the background. Users can access and edit the recorded footage from any game and share it online. The console, reportedly codenamed "Orbis," is rumored to have an eight-core AMD CPU with AMD graphics, and is said to be potentially more powerful than the Xbox 720. Sony yesterday invited users to "see the future" at the PlayStation Meeting 2013 on Feb. 20, where it is believed the PlayStation 4 will be unveiled. For more PS4-related gossip, including its revamped controller, check out our PS4 rumours video below.